The Texas economy ranked fourth in the nation for 2011, according to figures released by the Federal Bureau of Economic Analysis. 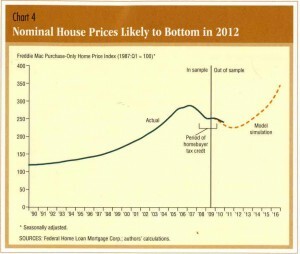 Dr. Ted Jones delivered a higher home prices forecast for the Greater Houston Metropolitan area. Dr. Jones is an economist with the Instutute for Regional Forecasting, of the Hobby Center for Public Policy, of the University of Houston. The Houston Economy 2012 is driven by the energy industry, according to Bill Gilmer, an economist from the Federal Reserve Bank of Dallas. The following was excerpted from Energy Leads the Way as Houston Surges in 2012, HoustonBusiness, A Perspective on the Houston Economy, Dallas, March 2012. The Houston housing market has been showing exceptional strength in our inner loop neighborhoods, according to Tanya Rutledge, of the Houston Chronicle. 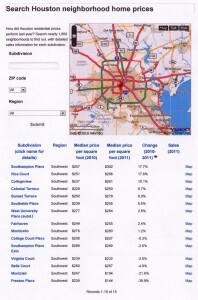 "The Houston-area housing market is strongest inside Loop 610 - even if no one is yet ready to call it great. The Texas business climate is the best in the natiion, as a recent study just published by Chief Executive.